I love to read! You can usually find me in the middle of 2-3 different types of books as I like to mix it up. I usually have one personal development book going as I like to continue to learn. I also enjoy a good fiction which can be light and airy with a touch of romance or even a good story as long as it’s one I can pick up and put down on a whim, but continue to want to finish. Third type could be something someone recommends at that time which seems to reverberate within ~ it’s like there’s a tap on my shoulder which tells me to listen up and read this one now and this could be anything. The last shoulder tapped book I read was The Go-Giver by Bob Burg. By the way, great read! 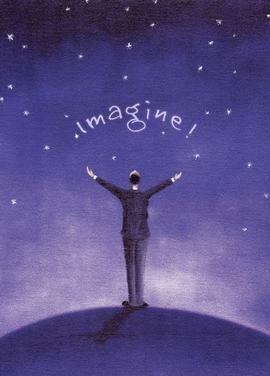 My imagination wanders and I enjoy focusing on imagining my goals accomplished, my life as I see fit and peace within as well as out into the universe. I can imagine all this and more although sometimes I find I limit my imagination by what I think can actually occur and try to negotiate how my goals will come to fruition. I have to break that habit as it gets in the way of my imagination. Have you an imaginary life? Do you imagine what your life will look like in 1 year? 2 years? 3 years as you’ve accomplished your goals? Have you sat down to write out your goals yet? Please do…let’s work on them together!